Record Store Day is an international celebration of independent record stores, according to Rick Johnson, one of three people who work full-time organizing the day’s festivities. 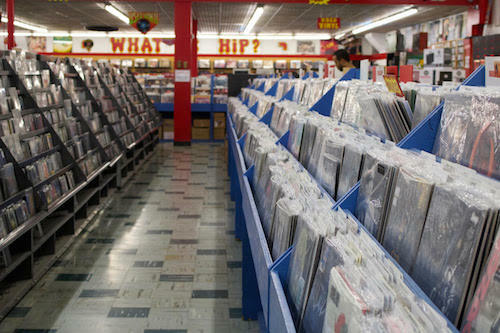 “These are independent stores because that’s always been the focus of record store day – how do we keep the independent record store alive and thriving,” Johnson said. Record Store Day is held in mid-April each year. It began in 2008, with about 300 participating stores. This year, Johnson said, more than 1,300 stores in the United States and several hundred more across the globe will open their doors Saturday, April 13, for a day filled with music and special promotions. 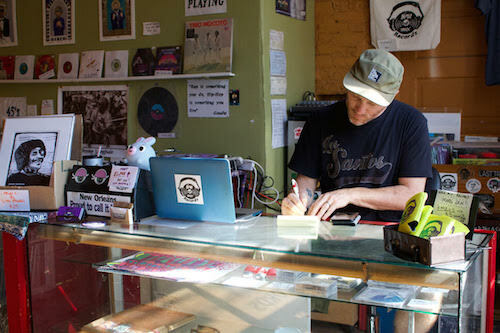 Johnson added that Record Store Day is now celebrated by record-loving communities on every continent except Antarctica. “It ends up being the world’s biggest single-day music event,” he said. In addition to Peaches, Euclid Records New Orleans, Louisiana Music Factory, The Mushroom, NOLA Mix Records, Silver Lotus Records, Sisters in Christ, Skully’z Records and The White Roach will participate Saturday. And they all have special releases up their sleeves. Peaches will open an hour early Saturday for Record Store Day. Though Rea said the store is keeping their special sales “close to the vest,” they’ll have hundreds of limited edition, special release LPs. The store is also partnering with neighboring bar Ms. Mae’s to serve free beer on site and with Hansen’s Sno-Bliz to offer free sweet treats to customers. That’s in addition to Peaches having DJs in store, auction items and more. Ben Epstein, owner of NOLA Mix Records, said Record Store Day is his shop’s busiest day of the year. “We also spend the most to get all the records, so it’s our biggest output and biggest input,” Epstein said. NOLA Mix has participated in Record Store Day for three years. This year, the store will welcome DJ Kelly Green, DJ Da’voyse, Wino Willy and other artists. NOLA Mix will also have free Dogfish Head beer and a Grateful Dead vinyl giveaway. “And of course, the main attraction is all the records,” Epstein added. 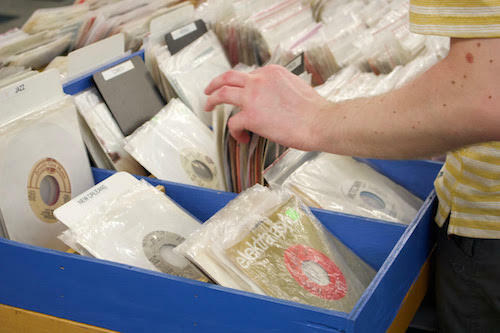 According to Johnson, participating stores sold about 750,000 records during Record Store Day 2018. Some stores, like The Mushroom on Broadway Street, are offering special discounts to encourage sales. Record Store Day will also kick off The Mushroom’s 50th anniversary week. 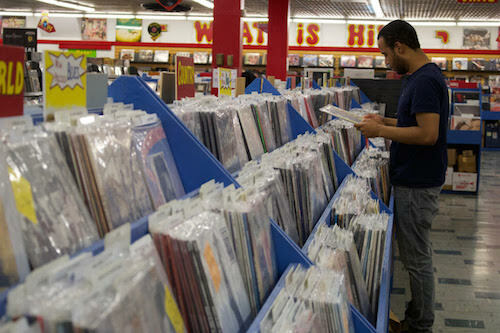 “We are doing $4.20 off of all new CDs and LPs, and then we’re doing 42 percent off of all our used inventory,” said store owner Christopher Hummel. Rea said Record Store Day contributed to that resurgence of local record stores. “Record Store Day was kind of this very novel, unique interaction between these majors, these bands that we all idolize and us,” Rea said. And Johnson said that’s part of the point.